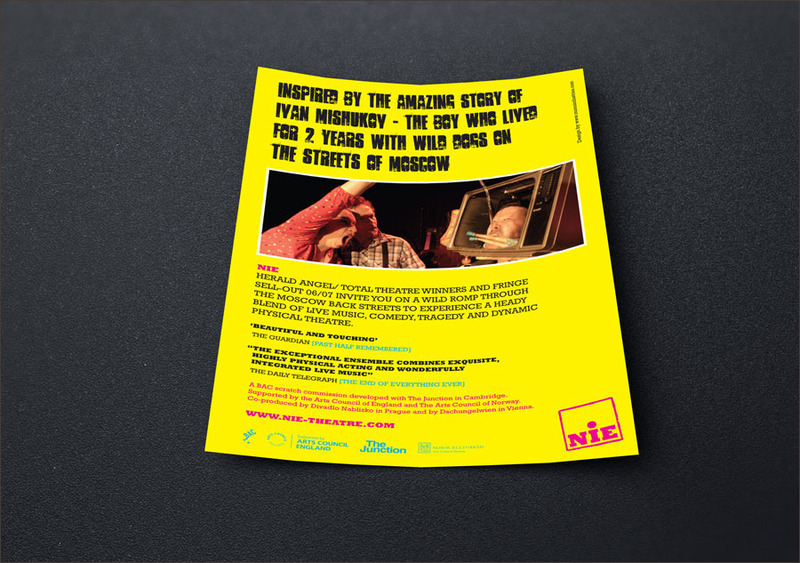 British/Czech theatre company NIE [New International Encounter] commissioned Mono Industries to design the publicity for a show that was performed at Edinburgh Festival Fringe in 2004. 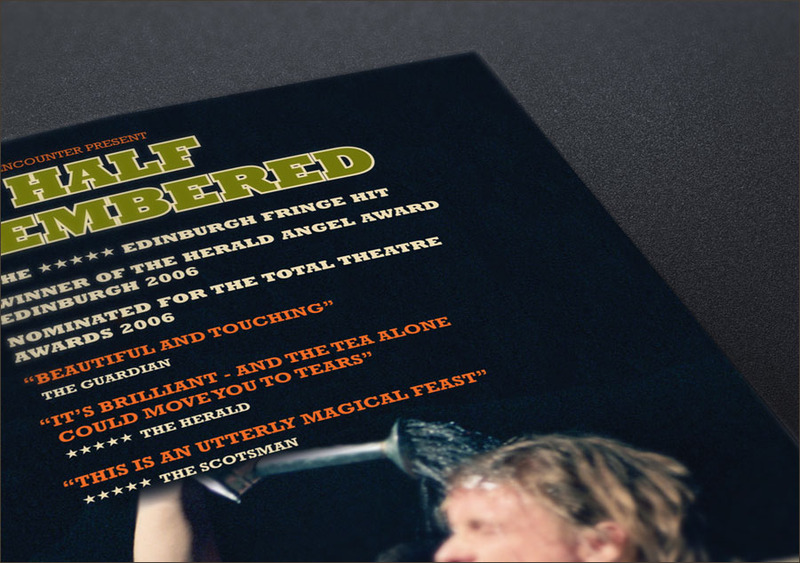 British/Czech theatre company NIE [New International Encounter] commissioned Mono Industries to design the publicity for a show that was performed at Edinburgh Festival Fringe in 2004. 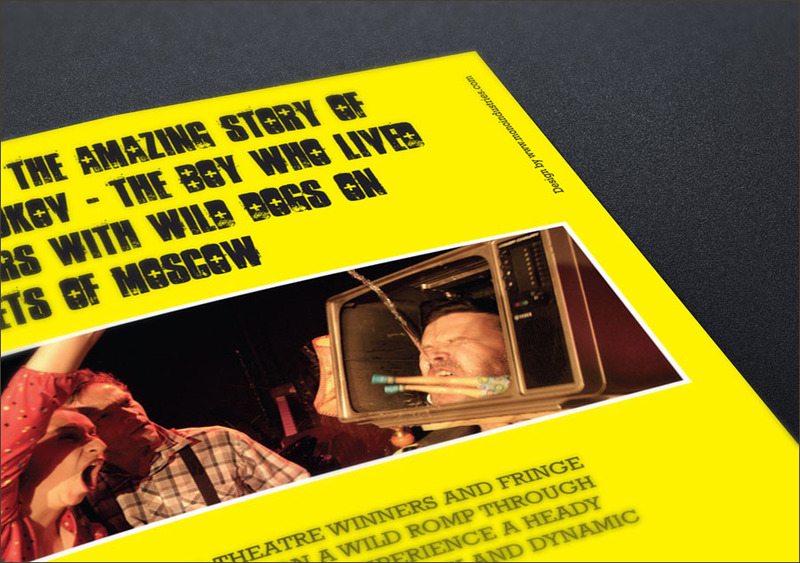 The show entitled My Long Journey Home, which has been performed over 200 times in 9 countries, made its UK debut at the Pleasance Theatre in August. 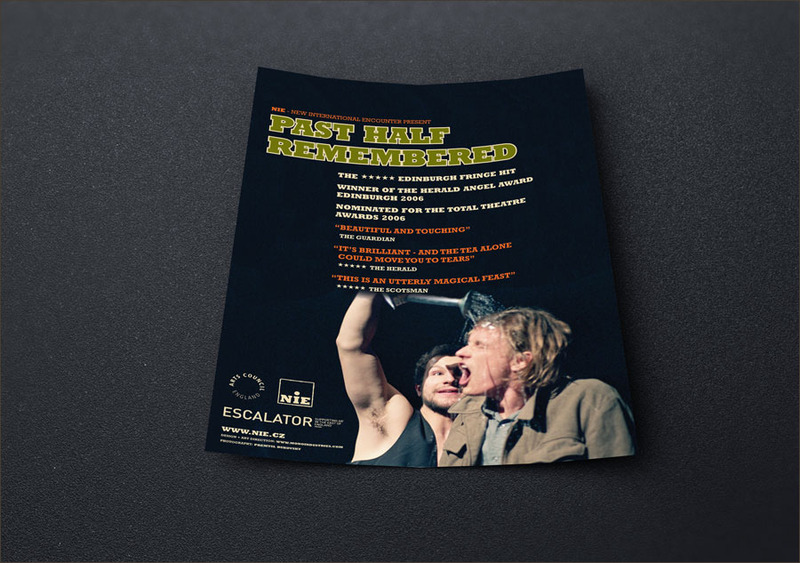 The show then went on to Battersea Arts Centre for which we designed a post card which incorporated photography from the Edinburgh run. 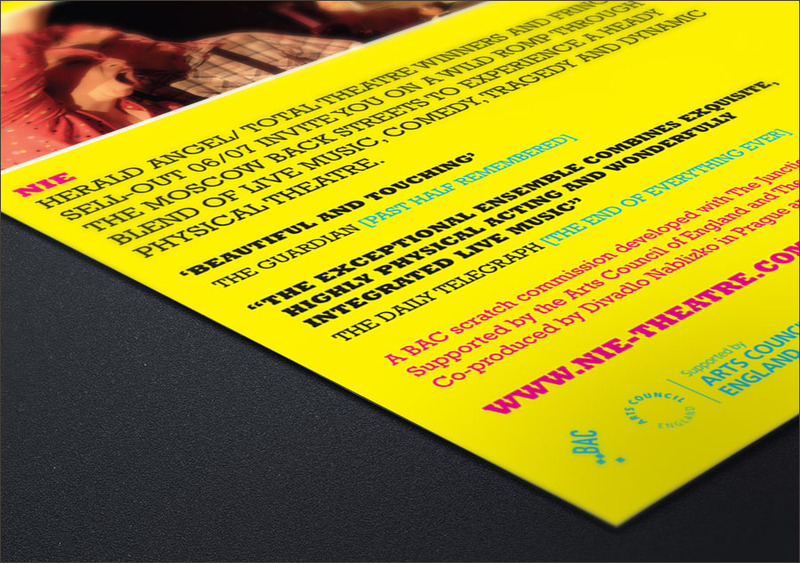 The company then invited us to re-brand them, starting with a new visual identity which once finalised, was used on various new stationery items. 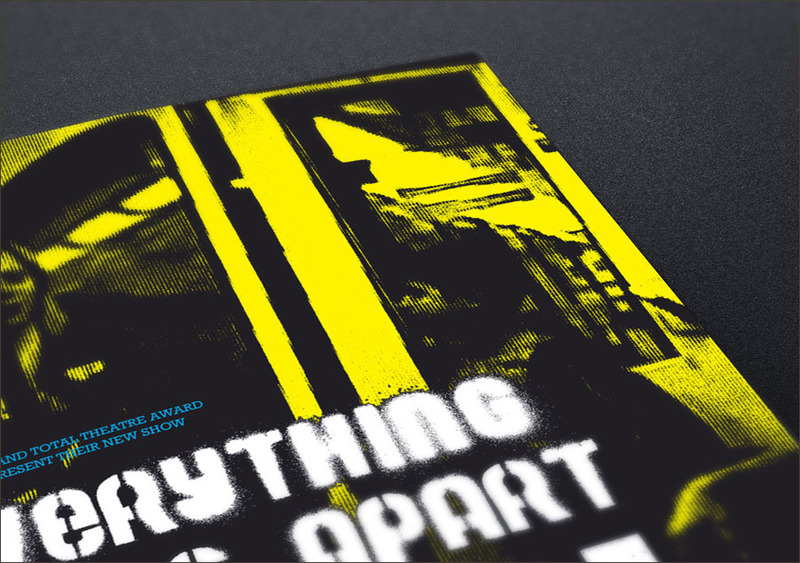 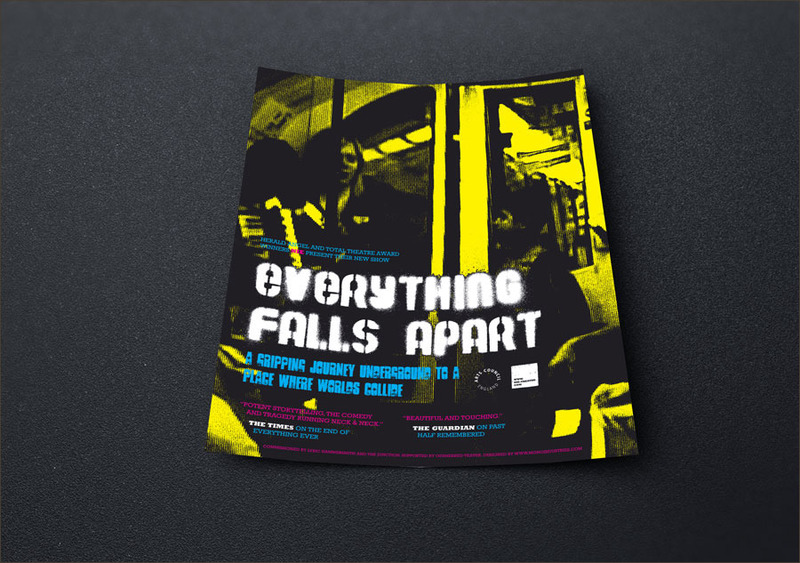 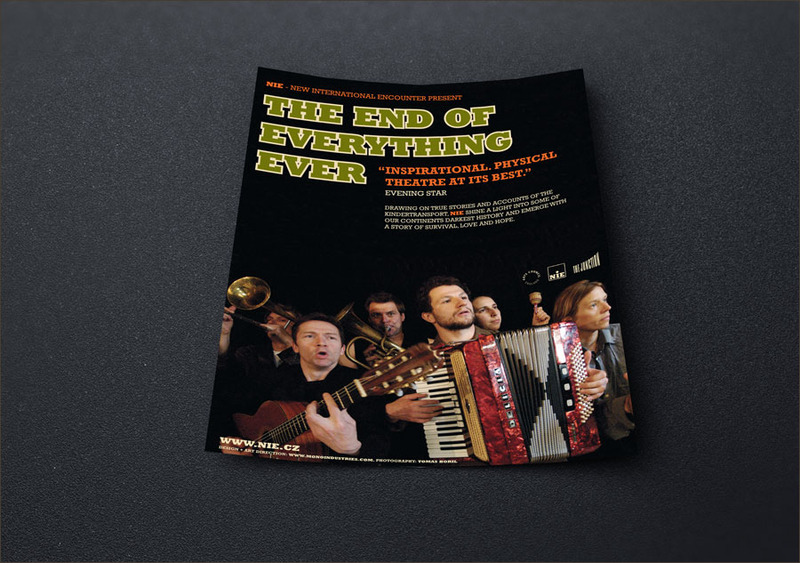 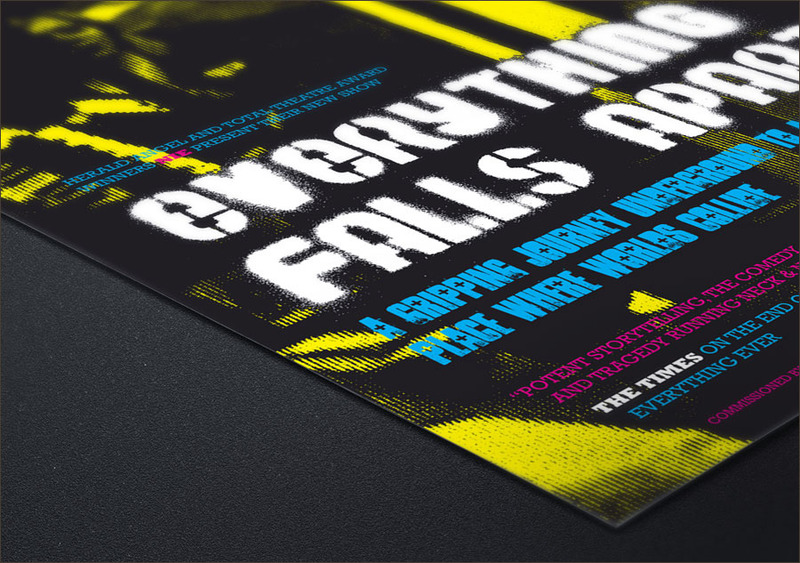 In early Summer 2005 we started work on publicity for the company’s new show The End Of Everything Ever. 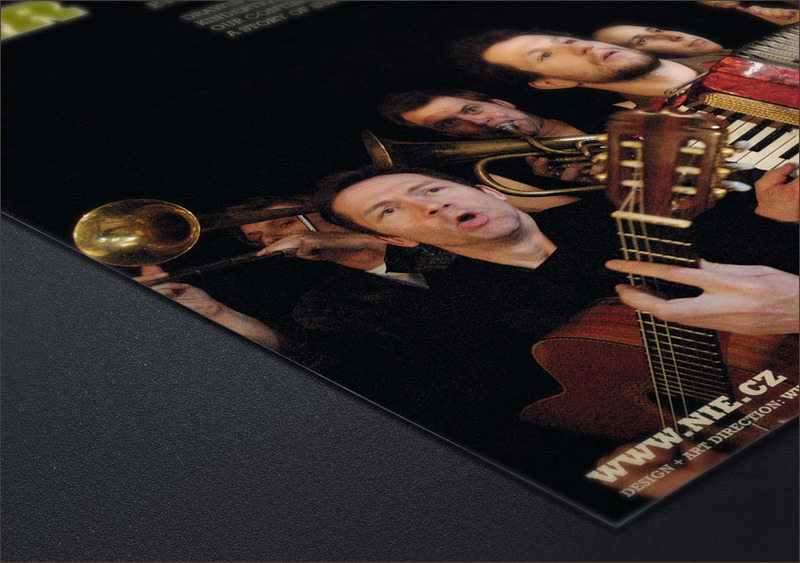 A2, A3 and A5 publicity material was designed using images shot in the Czech Republic earlier in the year. 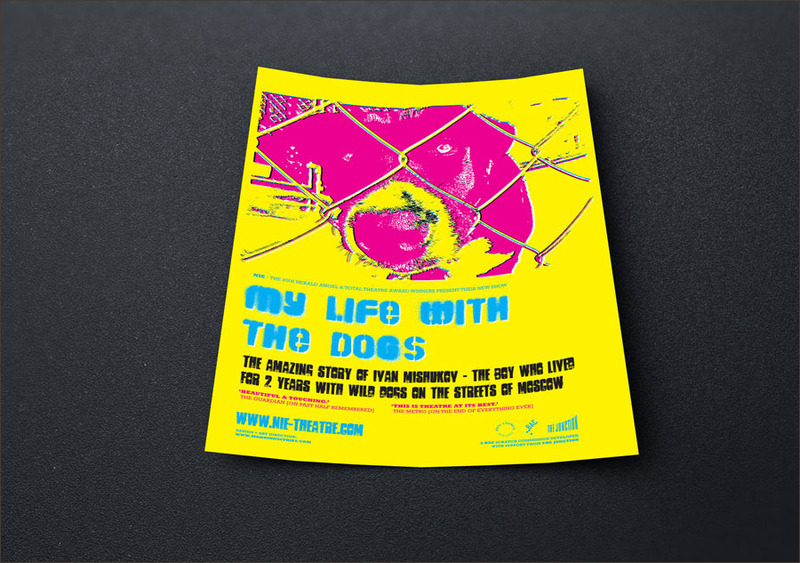 In January 2007 we started work on the publicity for a new show entitled ‘My Life With The Dogs’. 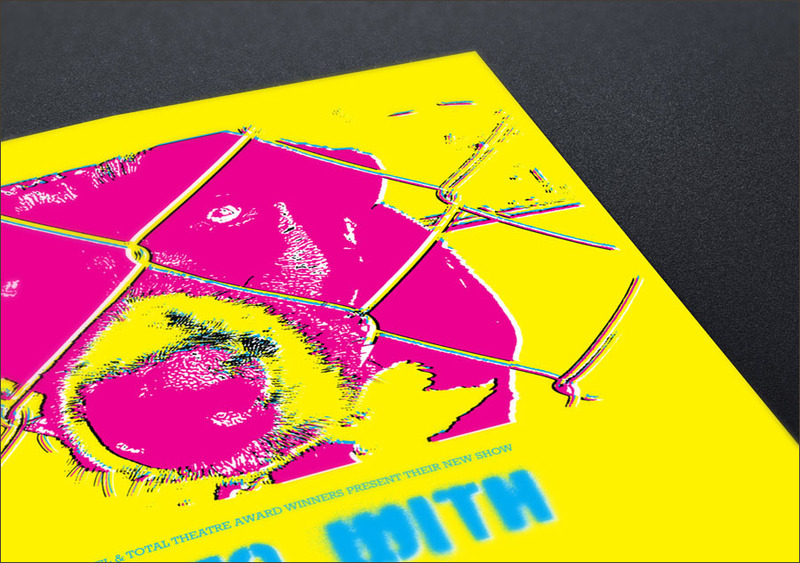 A new ‘punky’ style was adopted for this particular production. 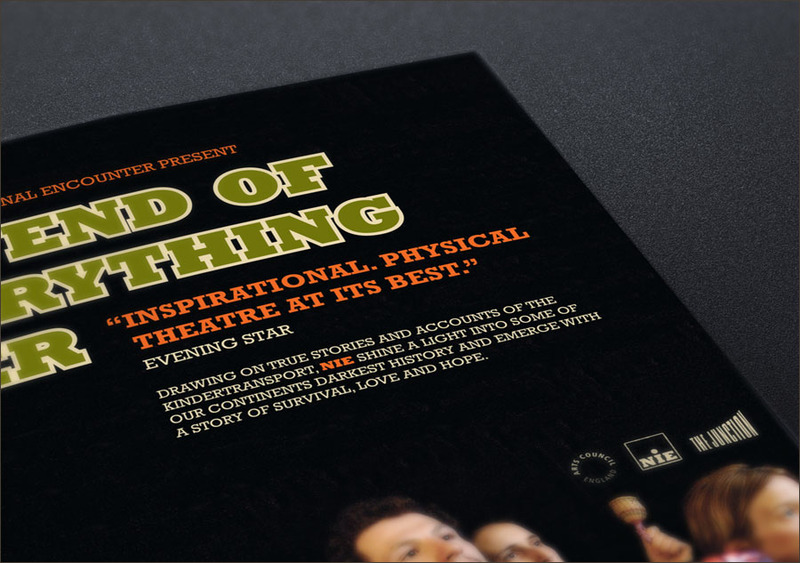 Mono Industries have worked on the design and print for all of our recent productions. 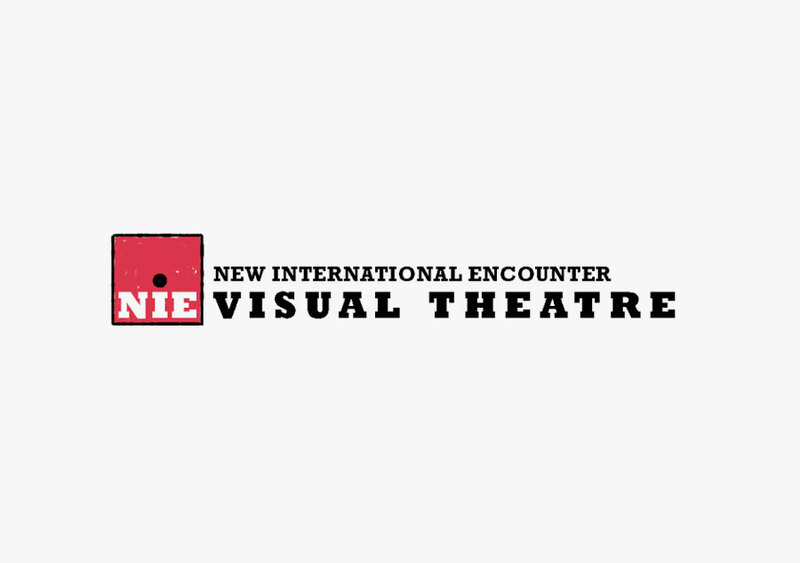 They are fast, reliable, very creative and always in touch to keep us up to date. 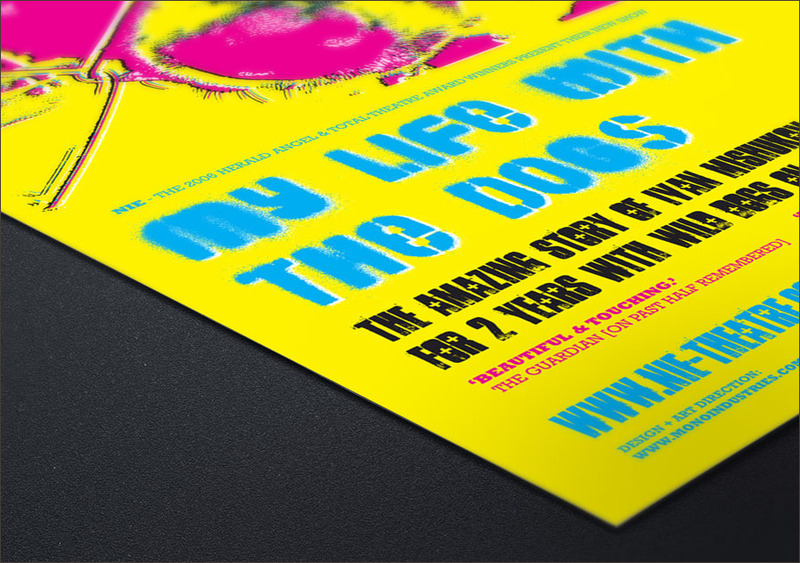 The best part of working with Mono Industries is that all of the work is done to schedule and to budget with no fuss. 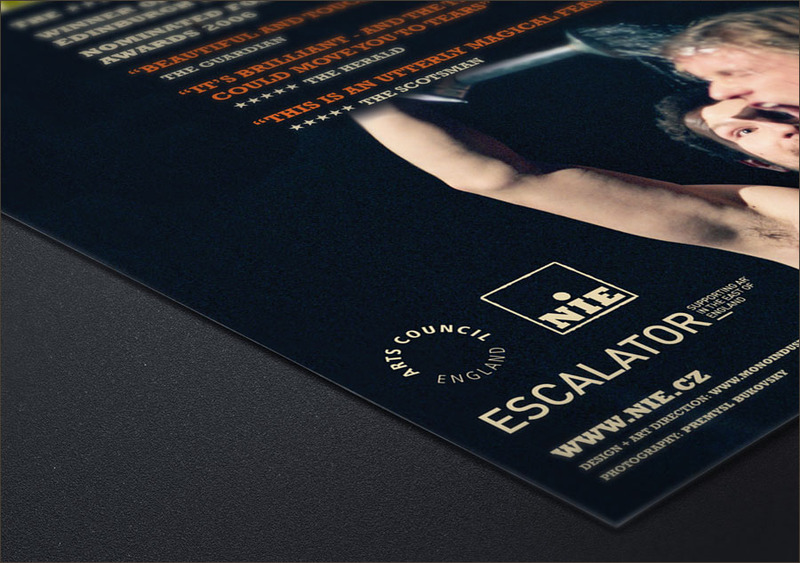 Alex Byrne. 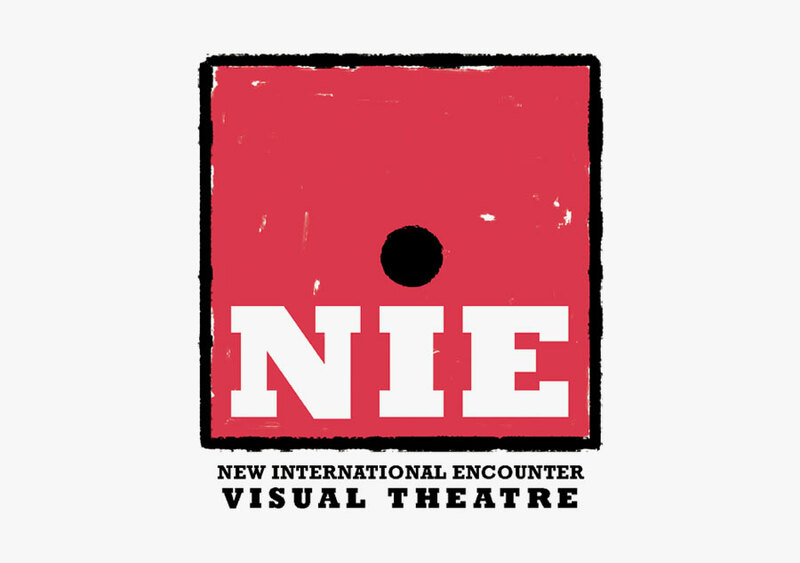 Creative Director, NIE Theatre Co.